We develop products from concept through to manufacture, and always look for innovation and originality as we create our next generation of products. Andy Smith is our Product Development Director, a design graduate with over 20 years creative and commercial experience in FMCG including gifts, brand licensing, apparel, and homewares. 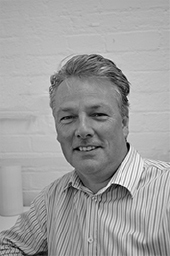 Andy has worked with many of the biggest names on the high street, and now heads up our product development team. Strong commercial awareness, creativity and in-depth knowledge of products and materials enable him and the team to create new and exciting collections. New designs are added to our core ranges and we continue to add brand licenses to our portfolio. We offer a bespoke service for larger retailers, and can respond to a brief to create new products, ranges and packaging. Get in touch if you have a new project you want us to develop for you.